Maintenance teams at the Veterans Administration (VA) Health Care campus in Long Beach, Calif., have recently completed applications of Paint Shield, the new microbicidal paint from Sherwin-Williams. Paint Shield kills greater than 99.9 percent of harmful bacteria within two hours of exposure on painted surfaces. Paint Shield continues to kill 90 percent of these bacteria even after repeated contamination on painted surfaces, and will remain effective for up to four years as long as the integrity of the surface is maintained. 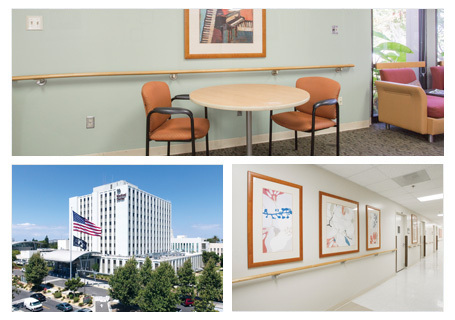 As a result of these qualities, Paint Shield was chosen for rooms in which medical services are performed at the Long Beach VA,which provides veterans with a full range of patient care services, as well as education and research. In addition, Paint Shield is now being used instead of a conventional interior latex for regular maintenance repaints in common areas such as hallways and reception areas of several buildings on site. Paint Shield® is the first EPA-registered microbicidal paint that kills more than 99.9% of harmful bacteria* within two hours of exposure on painted surfaces. Paint Shield provides a finish equal in appearance to that of conventional latex paints used in the past in common areas. At Sherwin-Williams, we’re committed to continually developing innovative coatings and programs to help make your facility run smoothly while controlling maintenance expenditures. With more than 4,200 stores and 2,700 sales representatives across North America, personal service and expertise is always available close to your site. 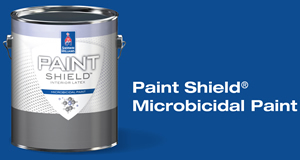 Find out more about Paint Shield at your nearest Sherwin-Williams store or to have a sales representative contact you, call 800-524-5979.